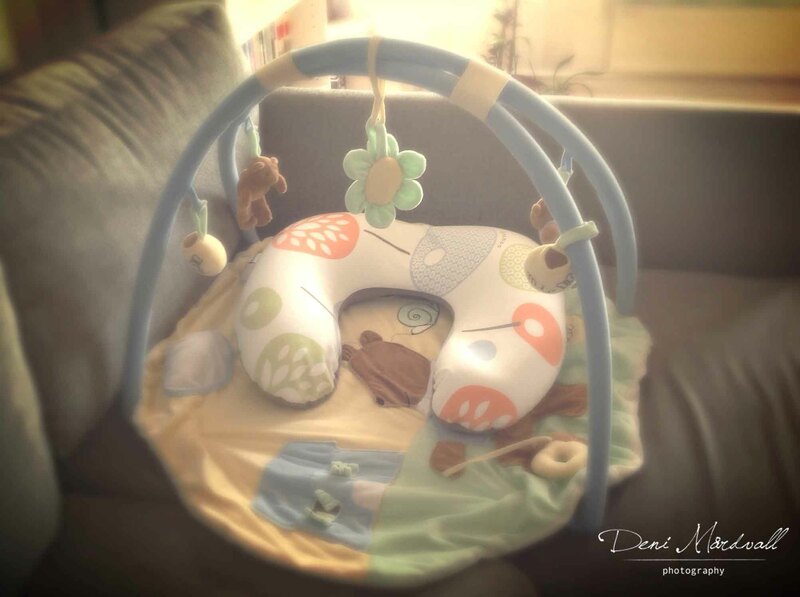 It is about 3 weeks ago, I decided to take out A’s baby gym from the box. I just want to know how A reacts if I put her there. At first, I was a bit worried because the bottom of baby gym is quite thin so I didn’t want A to feel uncomfortable to play there. But as soon as I see my sofa then I got another idea, I’ll put the baby gym on top of the sofa so it would be soft enough for A. Our sofa is quite wide especially in the corner of L-shape form and as you can see from the picture, it was almost perfect place for A to play with some toys of baby gym. Usually, I put A in her stroller. There are a couple of bumble bee toys hanging there but if A is awake, I have to put the cover completely for A to be able to see the bumble bees. 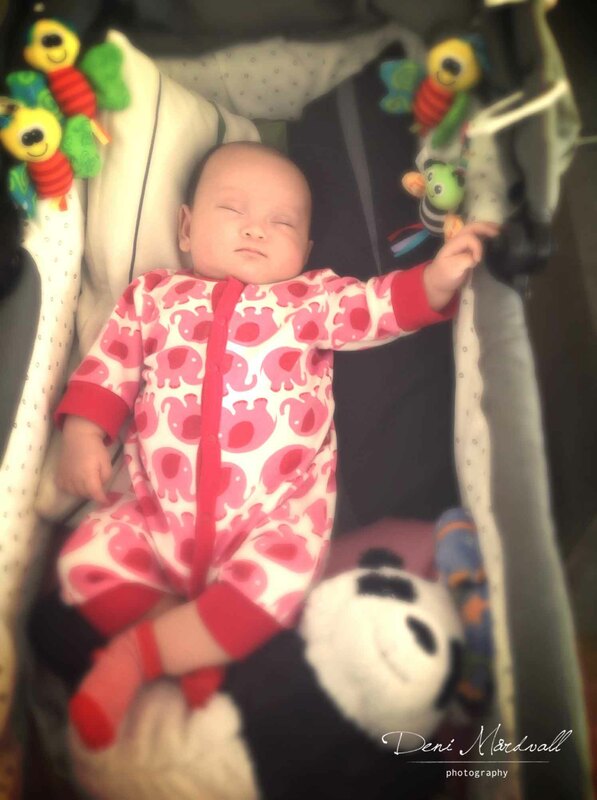 It is different matter if A is sleeping then I don’t have any problem to put her in her stroller. Why I don’t put A in her room? Well, her room is in the upper floor of the house and I don’t have any baby monitor to keep track of her is she is sleeping in there. The other reason is we spent the whole day in the ground floor and we don’t have any spare room to make another room for A. 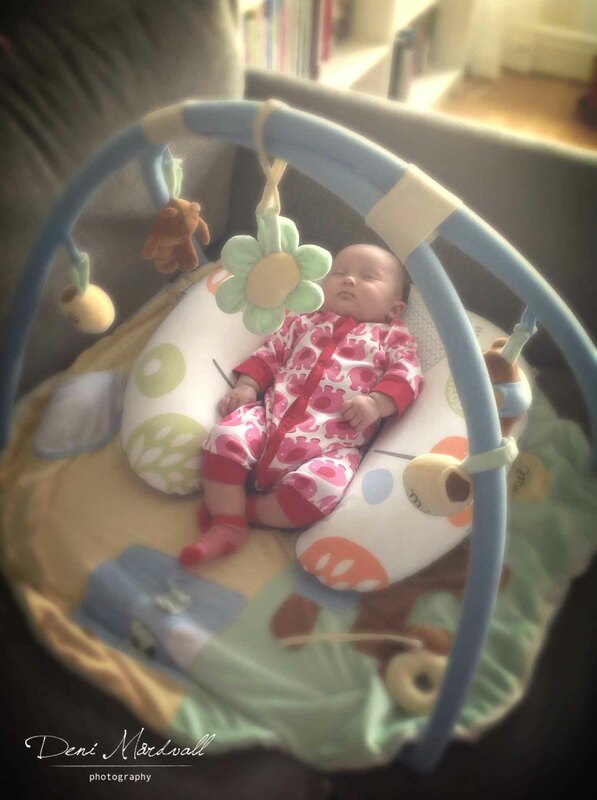 Actually she has her daddy’s crib when he was a baby but unfortunately, it is too small now. So, the best solution will be the stroller! So far, it works perfectly hehehe. Back to baby gym… the first time I put A there, she seemed enjoy to see some toys that give sound everytime we shake the baby gym. I was so happy to see that baby gym works for A. It is good for her to learn how to use her hands to try to reach some of the toys and it is good for me so I can clean the house or doing something else. 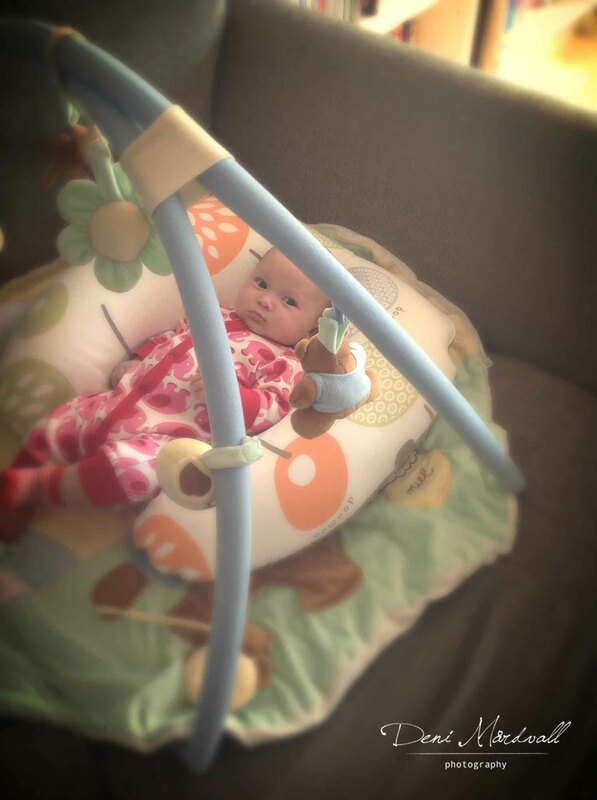 Of course, so far… if A is in her baby gym, I’ll be sit beside the baby gym and if I need to go to –kicthen for example- I’ll put lots of pillow surrounding the baby gym so A would not fall out from the sofa. Soon, I would need to have a thicker mattress underneath baby gym. 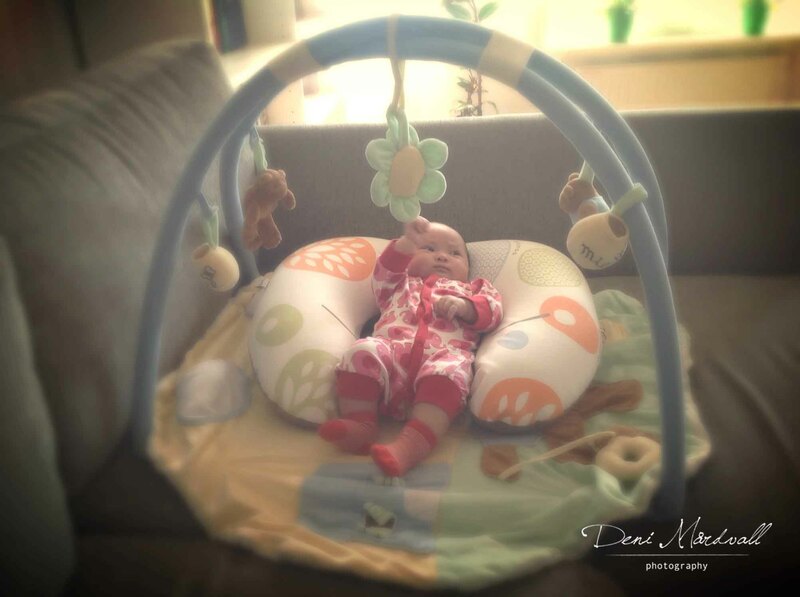 Sometimes, without I realize A could fall asleep in her baby gym which one time I had chance to take a snap with my camera. If it happens usually I let her sleep there and will not move her to her stroller. It is not always A is lying there with breastfeeding pillow, she can be lying there without any pillow at all and so far she enjoys everytime we put her there. 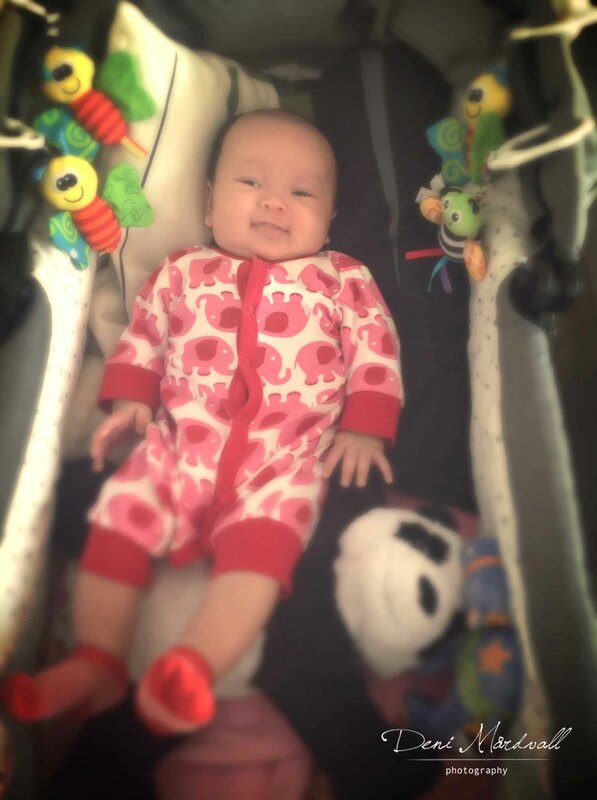 Pictures that I put in this post is taken on the same day which shows some of the when A is in her baby gym and some of the when A is in her stroller both awake and sleeping. A spending her time mostly by sleeping and but lately A loves to have chat with people in her surrounding. As her mother, I love to spend time with her talking about a lot of things and see her face expression which is really amazing and cute at the same time. Even though we might not understand one to another I always treasure this moment with her. I made a video couple of time and honestly speaking, I can’t help myself to fall in love with her over over and over again. She is indeed the Sunshine in our life. Another thing, she is such a clown too! Haha so many times P and I found our selves laugh so hard seeing what A does, both with her face or her voice. It is so amusing everytime it happens. She is our precious Sunshine! It is very rare to see her cranky. She has been a very good and calm little girl, even when she was born she didn’t scream that loud. Today she caught some cold for a couple of days now and yes she is a bit cranky which is I guess it is normal for a sick baby. Hopefully she will get well soon, amen! As I said before, she is our precious and we will do our best to raise her and write our book of journey together as best as we can as a great team. We have been blessed with so many family and friends that really care about us, they have been there for us when we need support especially when we need advise, need help and need someone to talk to when something is worrying us as a first time parent. There were many moments that we need to seek advise from family and friends about how to deal with certain thing regarding A. For example when A’s skin is quite dry and got some rash. It is amazing feeling to know that you have someone to turn to when you have any doubt or questions. Well… as I mention above, stroller and baby gym is huge help for me to be able to do some households job done and train our little one. Ups… need to go now, I will see if I managed to post another one from our trip last July in the North of Sweden. This entry was posted in being37, delights, every day, photography, Stockholm, Sweden and tagged everyday, photography, postaday, stockholm, Sweden. Bookmark the permalink.